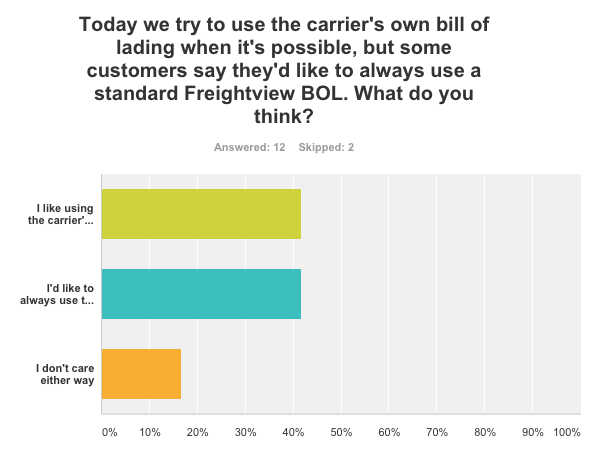 Our Bill of Lading is one of the things we think is pretty awesome about Freightview. We've tried to make it better over time and we still have some work to do, but for a lot of shippers it works (and it looks pretty great too!). We've always tried to favor using the carrier's BOL when we can. We think that drivers might be better able to recognize their own company's BOL and parse the information on it. However, a number of customers have asked us if there was any way they could always use our BOL. We've continued to get new requests about using our BOL, so we decided to give our customers the the option to choose which BOL is best for them, right on the shipment detail page. 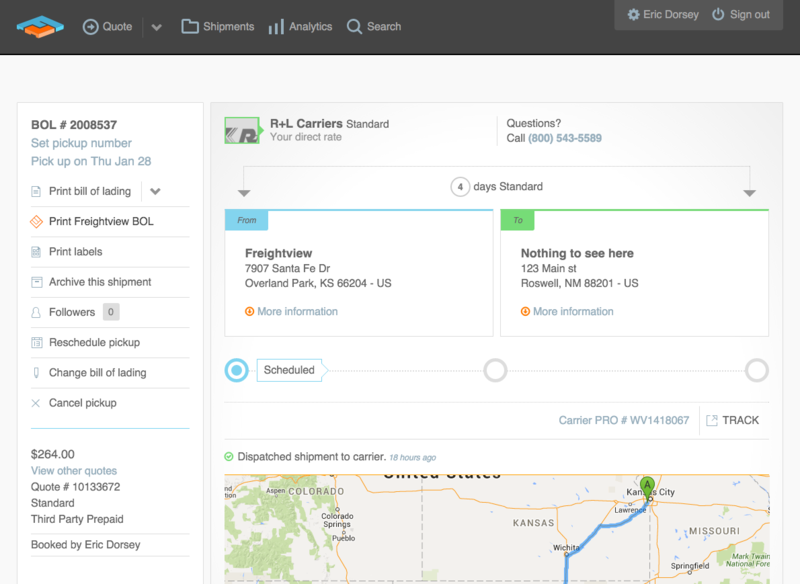 Freightview lets you use your own carriers and rates without the hassle of going to all of their websites. Start a 30-day free trial and try it for yourself!